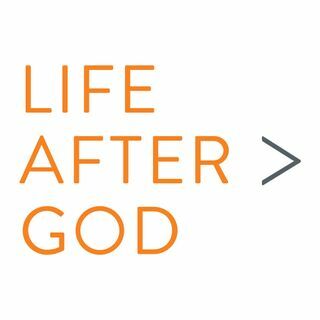 Brian Peck here with a bonus episode of the Life After God podcast. Max Tang and I recently hosted a webinar where we explored how curiosity can help you thrive after religion. I'm excited to share that conversation with you today. Several years after leaving the church I grew up in, I discovered that while the content of my beliefs had changed, I was still viewing the world through old ways of thinking. This realization began a personal and professional quest to find effective antidotes ... See More to fundamentalism. Over the years I've discovered evidence-based clinical practices, conducted my own personal experiments, and learned a lot from the collective wisdom of others who have effectively undermined the influence of fundamentalism in their lives. Max Tang has been on a similar journey and is exploring the many ways curiosity can help us thrive after religion through her speaking and writing. You can find more about her work at https://www.maxgetscurious.com/. In the podcast, we reference the work of Todd Kashdan's research lab but didn't have time to fully explore the 5 dimensions of curiosity so I just want to note those here. 1. Joyous Exploration - this is the prototype of curiosity – the recognition and desire to seek out new knowledge and information, and the subsequent joy of learning and growing. 2. Deprivation Sensitivity - this dimension has a distinct emotional tone, with anxiety and tension being more prominent than joy – pondering abstract or complex ideas, trying to solve problems, and seeking to reduce gaps in knowledge. 3. Stress Tolerance - this dimension is about the willingness to embrace the doubt, confusion, anxiety, and other forms of distress that arise from exploring new, unexpected, complex, mysterious, or obscure events. 4. Social Curiosity - wanting to know what other people are thinking and doing by observing, talking, or listening in to conversations. 5. Thrill Seeking - the willingness to take physical, social, and financial risks to acquire varied, complex, and intense experiences. One of the fascinating findings in the research is how we can be more intentional and expand our perspectives through social curiosity. Being part of a community that values curiosity and openness can increase your own curiosity in ways you couldn't achieve on your own. The value of social curiosity is not a new idea but now science is making a stronger case for the types of communities we are creating at Life After God. If you would like to cultivate your curiosity with others in a community that values the open and honest exploration of ideas, consider the value of joining the Life After God members group.